Pro Skills Basketball 15U, 16U, and 17U Elite teams will be participating in the Under Armour Association Challenge this week in Atlanta. 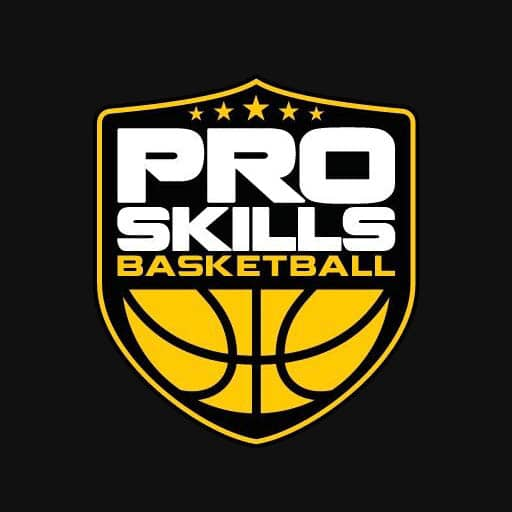 The 17U PSB Elite team faces a pair of teams out of Texas (Texas Impact; Texas Hardwork) and a team out of New York (NX Level) on Wednesday and Thursday before bracket play begins on Friday. Below are some of the top PSB players to watch in Atlanta this weekend! Ajogbor, who is coming off a stress factor in his foot, is one of the top back to the basket post players in the class of 2020. His hands around the basket continue to improve and has made great strides in securing post entry passes to decisive and strong basketball move. Ajogbor’s size and strength around the basket make him a prototypical back to the basket big and he recently skyrocketed to the #46 overall prospect nationally in the class of 2020. Ajogbor sports offers from a slew of high major programs, including Auburn, Connecticut, and Tennessee and will play a challenging school schedule at Christ School in his junior on a program that features other top national recruits in Jalen Lecque and Brandon Stone. Few players have skyrocketed in the rankings over the last year quite like Mills who is ranked #10 overall prospect in the state of NC by the BigShots recruiting service. He enjoyed a breakout season with Asheville Christian last year. Mills is wiry strong and does a phenomenal job of using his left hand to finish around the basket from either side. Mills is a good crosscourt passer with his opposite hand and has tight behind the back dribble to create separation in a half-court setting. Mills holds offers from ODU, Cincinnati, and Winthrop among others and has heard from South Carolina, Tennessee, and Georgia. Boggs has a slight build but is a long and explosive wing who recently picked up an offer from UNCW. He has improved his jump shot all the way out to the three-point line since the school season ended and uses the pump fake well to create separation from closing out defenders. Keep an eye out on Boggs to secure a few more offers this winter as he plays on a stacked Carmel Christian team that should be considered favorites to defend its 2A NCISAA state title. Boggs is the #62 overall prospect in the class of 2019 in NC according to BigShots. Henderson has a velvety smooth game at the point guard position. While he doesn’t get much elevation on his jump shot, he makes a lot of them. His basketball IQ and the speed allow him to find ways to score. While Henderson can play fast he never looks helter-skelter with the ball. Henderson is the #61 overall prospect in the class of 2019 in NC according to BigShots. Full Schedule for the PSBelite team is below! We recently caught up with both Caleb and Justice to better learn about their summer workouts and about their hobbies and time off the court. What are you most focused on improving this summer? Getting stronger and improving my jump shot. For Asheville Christian to advance further in the private school playoffs this year, it will have to do what this year differently? We have to lock down defensively – we are undersized and play almost entirely with guards which means we’ll have to run. Guilty pleasure snack that you can’t live without? Best tv show or movie you’ve seen this summer? Who’s winning the 2018-2019 NBA Championship – the Warriors or the field? What are you most looking forward to in Atlanta? The exposure – I felt underrecruited to this point. There will be a lot going on in Atlanta but I feel relaxed. Improving my mid-range shot and being more effective away from the basket. Walk me through your typical workout. An intense warm-up, 20-30 minutes of jump shots, then post moves by myself, followed by most moves with a defender to challenge me, then my ball handling, followed by weights. For Christ School to advance further in the private school playoffs this year, it will have to do what this year differently? Last year was the first time all of us had played together as a team – we really need to team build on and off the court so we can better play together. Guilty pleasure that you can’t live without? How is your recruiting coming along? I’m very open on schools right now. My GPA reflects my academic capabilities, so schools like Stanford, Yale, and Davidson are very interested.